Will a Director of Football cure all ills at Manchester United? The January transfer window is over and there is one significant outgoing in Marouane Fellaini, and a new contract extension for Anthony Martial finally signed, sealed and delivered. 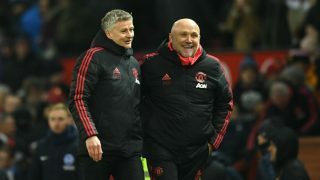 However, there were no new signings to improve the squad under Ole Gunnar Solskjaer and with much uncertainty at the club over the future of the next manager, there is another position that needs to be addressed and that is the director of football. Fans and pundits alike have criticised the structure of Manchester United. Ed Woodward has been seen by the fans as a big problem in recruitment since he took the Executive Vice Chairmen position in 2013 following the departure of David Gill. Manchester United are now entering a crossroads and it is vital that they restructure the club with a new long-term direction to go with a new manager. 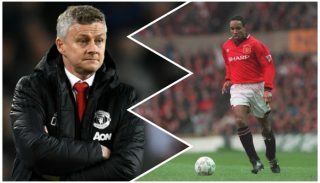 Now, this should be done regardless of if Solskjaer or Mauricio Pochettino becomes the next permanent manager, but the big question is will it actually make any difference? Red Bull Leipzig’s Head of Recruitment and Development Paul Mitchell is heavily linked to the role also because of his previous roles working with Pochettino at Southampton and Spurs, as reported by the BBC. Italian Andrea Berta is Atletico Madrid’s Sporting Director and he has also been tipped to take the role by the Daily Mail. Now while these two men have expertise in their roles, and I think either would do a good job, however, there is one very big flaw in this model and that is Woodward and the Glazers. The director of football will take the remit of what kind of player they will need to target from the board with input from the manager, but he will only be able to do so much. 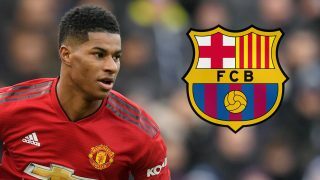 Manchester United have a global scouting network and with the director of football giving them a remit of what kind of players United need to target, it will make their jobs easier but ultimately, they can only recommend players. The director of football can take their recommendations and then he will have to go to Woodward and the Glazers to get the funds to then do the deals. Now herein lies the biggest fault in the model as if Woodward doesn’t deem the player worthy of buying or doesn’t agree with the figures for the deal then he won’t sanction it. 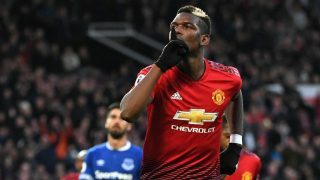 The current financial model for the club works as it just needs United to be reasonably successful on the pitch by getting into the Champions League each year, winning the odd trophy and signing big-name players for their marketing potential. It is the football model that needs fixing and it seems like the 90 minutes of football played each week are a hindrance to the money making going on at the club. Woodward will keep profits up and costs down and that is what the Glazers pay him to do. Make no mistake, Woodward is a great businessman but he is not a football man, so hiring someone who can be competent and diligent in deals is a no brainer, also getting value for players both incoming and outgoing will be key to make sure the books are balanced. Numerous fan favourites like Anthony Martial, David De Gea and Marcus Rashford have had or are in negotiations for new contracts, now while this is great news there needs to be a focus on making sure the club adds players along with them to win trophies and not just to keep the fans happy. The club seems to be doing all the right things renewing contracts, briefing the press about transfer kitty’s and who they will target but they did the same last year, fans need action, not words. Also, Woodward would then be absolved of any blame if a director of football is hired as the director of football would take all the ire of fans if the players he signs don’t work out or players they miss out on going on to better things elsewhere. The model means that the director of football liaises with the manager and signs players he wants but also plans for the next five and ten years regardless of who is in charge. Thus, meaning that whoever takes charge or however long a manager lasts there is always a system in place to keep signing the kind of players that fit the club’s ethos and philosophies. A story emerged in The Sun last month of Derek Langley being sacked after 16 years at the club as a scout after a ‘Frank’ conversation with Woodward about players. Now we all not privy to what goes on behind closed doors, so we don’t know if this is true or not, but this is a worrying reveal in terms of the structure of the club. The clamour for a director of football is deafening online from Manchester United fans to do deals and bring in players who fit the club and the way the club wishes to play. I believe the model can work but it is a chicken and egg scenario in a case of do you hire a permanent manager first or the director of football as hiring one before the other could be problematic. If you hire the wrong person first there could be a clash of personalities or styles, so depending on who is hired first the person coming second in will have to be willing to work with the other. The director of football should, in theory, be appointed to be at the club longer than a manager, but this ultimately depends on his successes both in transfers and long-term planning for the club. He will not only be tasked to help sign players for now but also find the stars of tomorrow, this is not as simple as it sounds as United will all have to agree on the hierarchy of this system and work within those parameters. No players could have been signed this month as no player worth getting is going to come when there is so much uncertainty about the manager and also with a battle on to finish in the top four to get Champions League for next season. Until the new structure is set up and the next permanent manager is announced, United are stuck in a transfer limbo for any potential targets that they wish to buy in the summer will ask about wonder who they will be playing for and will it be in the Champions League or Europa League. With a new manager and a director of football in place, it will still be a case of evolution rather than revolution at the club and it will take time for the squad to be rebuilt in the club’s image of how they want to play. No matter who is in charge for both of these roles the big obstacle will be the board and Woodward as they control the purse strings at the club and they, of course, will have the final say. 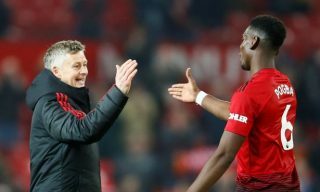 Ultimately the club needs restructuring and when the new manager is appointed be that Ole Gunnar Solskjaer or another manager, they will have to be comfortable working with a director of football and in the direction, the club wants to go in. 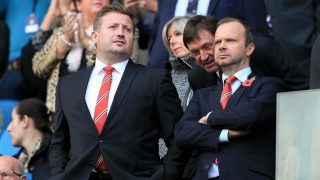 This might be news to some fan’s ears but not all that glitters is gold in this scenario as no matter who is appointed the real decision makers are Woodward and the Glazer family, but one thing is for sure a director of football will be a useful ally in the board meetings for the next United manager. Now, this appointment will need to be taken carefully to make sure the right person is appointed but this will not fix the problems behind the scenes overnight or on the playing field. This will be a long-term appointment and fans will have to be patient for the club to change but they are making all the right noises at the moment with new contracts handed out to key players. Throwing money at the club simply won’t work as it is a case of working smarter and making the correct decisions, not the popular ones. The appointment of a director of football will be welcome news, but will he succeed in helping to take back to the top or will he be set up to fail by the hierarchy?